By registering for Portfolio.io, you have affirmed that you are at least 18 years old and are an individual, legal person or other organization with full legal capacity to enter into this Agreement between you and Portfolio.io. By using the Services, you represent and warrant that you meet all of the foregoing eligibility requirements. By accessing and using Portfolio.io and any of its Services, you acknowledge and declare that you are not on any trade or economic sanctions lists, such as the United Nations Security Council Sanctions List. Portfolio.io maintains the right to select its markets and jurisdictions to operate and may restrict or deny its Services to certain countries. The content of this Agreement shall not be excluded from the laws of the country under which the user belongs. If you do not meet all of these requirements, you must not access the Site or use the Services. Portfolio.io reserves the right to terminate your account for any reason. Portfolio.io reserves the right to modify or change these Terms of Service at any time and at its sole discretion. Any and all modifications or changes to the Terms of Service will be effective immediately upon being announced on the Site or released to users. As such, your continued use of Portfolio.io’s Services acts as acceptance of the revised Terms of Service. Portfolio.io provides an online platform to invest in cryptocurrencies. Investors must register and open an account with Portfolio.io and deposit assets prior to the commencement of investing. Investors may request the withdrawal of their cryptocurrencies via Bitcoin, subject to the limitations as stated in the Terms of Service. Portfolio.io is not an investment advisor. Portfolio.io does not provide investment advice. No content published on the Site constitutes a recommendation that any particular cryptocurrency or digital token or portfolio of cryptocurrencies and digital tokens is suitable for any specific person. You further understand that we are not advising you personally concerning the nature, potential, value or suitability of any particular cryptocurrency or digital token or portfolio of cryptocurrencies and digital tokens or any particular investment strategy. Portfolio.io strives to maintain the accuracy of information posted on its Site, however, it cannot guarantee the accuracy, suitability, reliability, completeness, performance or fitness for particular purpose of the content on the Site. Information on the Site is provided for educational purposes and is subject to change without notice. Portfolio.io does not accept liability for any loss or damage that may arise directly or indirectly from the content. When registering for an account on Portfolio.io, you agree to share Personal Information requested for the purposes of identity verification. This information is used specifically for the detection and prevention of money laundering, terrorist financing, fraud and other financial crimes on the Portfolio.io platform. In addition to providing this information, to facilitate compliance with global industry standards for data retention, you agree to permit us to keep a record of such information for the lifetime of your account plus 5 years beyond account closing. You also authorize us to make inquiries, either directly or through third parties, that are deemed necessary to verify your identity or to protect you and/or us against financial crimes such as fraud. The Personal Information we request for identity verification may include, but is not limited to, your: name, email address, contact information, phone number, username, and government-issued ID. In providing this Personal Information, you confirm that it is accurate and authentic. Post-registration, you must guarantee that the Personal Information is truthful, complete and updated promptly with any changes. If there is any reasonable doubt that any Personal Information provided by you is wrong, untruthful, outdated or incomplete, Portfolio.io shall have the right to send you a notice to demand corrections, remove relevant information directly and, as the case may be, terminate all or part of Portfolio.io’s Services to you. You shall be solely and fully responsible for any loss or expenses incurred during the use of Portfolio.io’s Services if you cannot be reached through the contact information provided. You hereby acknowledge and agree that you have the obligation to keep all Personal Information provided up to date if there are any changes. By using Portfolio.io and any of its Services, you declare that all information provided to Portfolio.io in connection with these Terms of Service are true, accurate and complete. Portfolio.io prioritizes maintaining the security of user accounts and has implemented industry standard protections for our platform. With that said, there are account-level risks that are created by individual user actions. You must independently take safety precautions to protect your own account and Personal Information. You shall be solely responsible for the safekeeping of your Portfolio.io account and password and for all activities under your Portfolio.io account, including, but not limited to, information disclosure, information posting, consent to or submission of various rules and agreements by clicking on the Site, online renewal of this Agreement, etc. You are the only person who may use and operate your account. Portfolio.io reserves the right to suspend, freeze or cancel accounts that are used by persons other than the persons whose names they are registered under. Accordingly, Portfolio.io will not take legal responsibility for these accounts. You will log out from the Site by taking proper steps at the end of every visit. Portfolio.io will not be responsible for any loss or consequences caused by your failure to comply with the above Account Security provision. Will not violate this Agreement or relevant rules. If you violate the aforementioned promises and thereby cause any legal consequence, you shall independently undertake all of the legal liabilities in your own name and indemnify Portfolio.io from all actions, claims or costs arising from such violation. You will not use any data or information displayed on the site for commercial purposes without the prior written consent of Portfolio.io. Executing malicious sales or purchases on the market. By accessing the Services, you agree that Portfolio.io shall have the right to unilaterally determine whether you have violated any of these Terms of Service and to take actions to apply relevant rules without receiving your consent or giving prior notice to you. Deleting any information you published that is in violation. If your alleged violation causes any losses to a third party, you shall solely undertake all the legal liabilities in your own name and hold Portfolio.io harmless from any loss, fine or extra expenses. If, due to any alleged violation Portfolio.io incurs any losses, is claimed by any third party for compensation or suffers any punishment imposed by any administrative authorities, you shall indemnify Portfolio.io against any losses and expense caused thereby, including reasonable attorney’s fee. The Site and its entire contents, features and functionality (including but not limited to all information, software, displays, images, video and audio, and the design, selection and arrangement thereof) (collectively, “Intellectual Property”), are owned by Portfolio.io, its licensors or other providers of such material. You may not create copies of our Intellectual Property in violation of copyright, trademark, or other laws. The Portfolio and Portfolio.io name, logo and all related names, logos, product and service names, designs and slogans are trademarks of Portfolio.io or its affiliates or licensors. You may not use such marks without the prior written permission of UNITARITY, INC. All other names, logos, product and service names, designs and slogans on this Site are the trademarks of their respective owners. We grant you a worldwide, non-exclusive, non-transferable, non-sublicensable and revocable license to use the Services subject to your eligibility and your continued compliance with these Terms of Service. We are not responsible to ensure, and disclaim any responsibility for, your ability to open, use or view the content on the Site. As between you and us, we retain all right, title and interest in and to the Site, and all related intellectual property rights. We reserve all rights not granted in this Agreement. Portfolio.io reserves the rights to levy service fees on users who use its Services. It is in the discretion of Portfolio.io to adjust the service fees charged to users using its Services. Any other circumstances where Portfolio.io deems it should terminate the Services. Should the account be terminated, the account & transactional information required for meeting data retention standards will be securely stored for five years. In addition, if a transaction is unfinished during the account termination process, Portfolio.io shall have the right to notify your counterparty of the situation at that time. In the case of no fault by either you or Portfolio.io, once the account is closed/withdrawn, all remaining balance (which includes charges and liabilities owed to Portfolio.io) on the account will be payable at once to Portfolio.io. Upon payment of all outstanding charges to Portfolio.io (if any), you will have 5 working days to withdraw all funds from the account. Any other losses related to the Services which are not directly attributable to Portfolio.io. In no event shall Portfolio.io be liable for any failure or delay of Service resulting from regular network maintenance or external factors such as power failure, natural disaster, service provider-side problems or governmental acts. Portfolio.io strives to maintain the data integrity on its Site but does not guarantee the information and Services provided in its platform. Portfolio.io will not be liable for errors arising from the use of its Services. You agree to indemnify and hold harmless Portfolio.io, its affiliates, contractors, licensors, and their respective directors, officers, employees and agents from and against any claims and damages (including attorneys’ fees, fines or penalties imposed by any regulatory authority) arising out of your breach or our enforcement of this Agreement. This shall also apply to your violation of any applicable law, regulation, or rights of any third party during your use of the Services. You agree to indemnify Portfolio.io and its affiliates and hold them harmless from and against all third-party claims except from Portfolio.io’s breach of these Terms of Service. It is your responsibility to abide by local laws in relation to the legal usage of Portfolio.io in your local jurisdiction. You must also factor, to the extent of their local law all aspects of taxation, the withholding, collection, reporting and remittance to their appropriate tax authorities. You acknowledge and declare that the source of your funds come from a legitimate manner and are not derived from illegal activities. Portfolio.io maintains a stance of cooperation with law enforcement authorities globally and will not hesitate to seize, freeze, terminate your account and funds that are flagged out or investigated by legal mandate. Portfolio.io (and/or its delegate) may request such evidence as is necessary to verify your identity and source of funds. Portfolio.io shall not accept or repay any amount until all information required for verification purposes has been provided. Portfolio.io prohibits acceptance of funds by any persons or entities that are acting, directly or indirectly: (i) in contravention of any U.S. or international laws and regulations, including anti-money laundering regulations or conventions; (ii) on behalf of terrorists or terrorist organizations, including those persons or entities that are included on the List of Specially Designated Nationals and Blocked Persons maintained by the U.S. Treasury Department’s Office of Foreign Assets Control (“OFAC”), as such list may be amended from time to time; (iii) for a senior foreign political figure, any member of a senior foreign political figure’s immediate family or any close associate of a senior foreign political, unless Portfolio.io, after being specifically notified in writing that the individual is such a person, conducts further due diligence, and determines that such acquisition shall be permitted; or (iv) for a foreign shell bank (such persons or entities in (i) – (iv) are collectively referred to as “Prohibited Persons”). The OFAC list may be accessed on the web at http://www.treas.gov/ofac. Senior foreign political figure means a senior official in the executive, legislative, administrative, military or judicial branches of a foreign government (whether elected or not), a senior official of a major foreign political party, or a senior executive of a foreign government-owned corporation. In addition, a senior foreign political figure includes any corporation, business or other entity that has been formed by, or for the benefit of, a senior foreign political figure. The immediate family of a senior foreign political figure typically includes the political figure’s parents, siblings, spouse, children and in-laws. A close associate of a senior foreign political figure is a person who is widely and publicly known internationally to maintain an unusually close relationship with the senior foreign political figure and includes a person who is in a position to conduct substantial domestic and international financial transactions on behalf of the senior foreign political figure. Foreign shell bank means a foreign bank without a physical presence in any country but does not include a regulated affiliate. A post office box or electronic address would not be considered a physical presence. A regulated affiliate means a foreign shell bank that: (1) is an affiliate of a depository institution, credit union, or foreign bank that maintains a physical presence in the United States or a foreign country, as applicable; and (2) is subject to supervision by a banking authority in the country regulating such affiliated depository institution, credit union, or foreign bank. Any and all controversies, disputes, demands, counts, claims, or causes of action (including the interpretation and scope of this clause, and the arbitrability of the controversy, dispute, demand, count, claim, or cause of action) between you and Portfolio.io or their successors or assigns shall exclusively be settled through binding and confidential arbitration. All matters relating to the Site and the Services and any dispute or claim arising therefrom or related thereto shall be governed by and construed in accordance with the internal laws of the State of Delaware without giving effect to any choice or conflict of law provision or rule. You understand that we cannot and do not guarantee or warrant that the Site will be free of viruses or other destructive code. You are responsible for implementing sufficient procedures and checkpoints to satisfy your particular requirements for anti-virus protection and accuracy of data input and output, and for maintaining a means external to our Site for any reconstruction of any lost data. WE WILL NOT BE LIABLE FOR ANY LOSS OR DAMAGE CAUSED BY A DISTRIBUTED DENIAL-OF-SERVICE ATTACK, VIRUSES OR OTHER TECHNOLOGICALLY HARMFUL MATERIAL THAT MAY INFECT YOUR COMPUTER EQUIPMENT, COMPUTER PROGRAMS, MOBILE DEVICE, DATA OR OTHER PROPRIETARY MATERIAL DUE TO YOUR USE OF THE SITE OR ANY SERVICES OR ITEMS OBTAINED THROUGH THE SITE OR TO YOUR DOWNLOADING OF ANY MATERIAL POSTED ON IT, OR ON ANY WEBSITE LINKED TO IT. YOUR USE OF THE SITE, ITS CONTENT AND ANY SERVICES OBTAINED THROUGH THE SITE IS AT YOUR OWN RISK. THE SITE, ITS CONTENT AND ANY SERVICES OBTAINED THROUGH THE SITE ARE PROVIDED ON AN "AS IS" AND "AS AVAILABLE" BASIS, WITHOUT ANY WARRANTIES OF ANY KIND, EITHER EXPRESS OR IMPLIED. NEITHER THE COMPANY NOR ANY PERSON ASSOCIATED WITH THE COMPANY MAKES ANY WARRANTY OR REPRESENTATION WITH RESPECT TO THE COMPLETENESS, SECURITY, RELIABILITY, QUALITY, ACCURACY OR AVAILABILITY OF THE SITE. WITHOUT LIMITING THE FOREGOING, NEITHER THE COMPANY NOR ANYONE ASSOCIATED WITH THE COMPANY REPRESENTS OR WARRANTS THAT THE SITE OR ITS CONTENT WILL BE ACCURATE, RELIABLE, ERROR-FREE OR UNINTERRUPTED, THAT DEFECTS WILL BE CORRECTED, THAT OUR SITE OR THE SERVER THAT MAKES IT AVAILABLE ARE FREE OF VIRUSES OR OTHER HARMFUL COMPONENTS OR THAT THE SITE WILL OTHERWISE MEET YOUR NEEDS OR EXPECTATIONS. To the extent allowed by applicable law, you agree that you will bring any claim or cause of action arising from or relating to your access or use of the Site and the Services within one (1) year from the date on which such claim or action arose or accrued or such claim or cause of action will be irrevocably waived. These Terms of Service constitute the entire and exclusive understanding and agreement between Portfolio.io and you regarding the Site and Services, and these Terms of Service supersede and replace any and all prior oral or written understandings or agreements between Portfolio.io and you regarding the Site and the Services. If any part of these Terms of Service is determined to be invalid or unenforceable pursuant to applicable law including, but not limited to, the liability limitations set forth above, then the invalid or unenforceable provision will be deemed superseded by a valid, enforceable provision that most closely matches the intent of the original provision and these Terms of Service shall continue in effect. The failure by Portfolio.io to enforce any right or provision of these Terms of Service will not constitute a waiver of future enforcement of that right or provision. The waiver of any right or provision of these Terms of Service will be effective only if in writing and signed by a duly authorized representative of Portfolio.io. Except as expressly set forth in these Terms of Service, the exercise by either party of any of its remedies under these Terms or Service will be without prejudice to its other remedies under these Terms of Service or otherwise. If you have any complaints, feedback or questions, kindly contact us at support@Portfolio.io.com and we will try to resolve it for you. “Digital Asset” is a digital representation of value (also referred to as “cryptocurrency,” “virtual currency,” “digital currency,” “crypto token,” “crypto asset,” or “digital commodity”), such as Bitcoin, Ripple or Ether, which is based on the cryptographic protocol of a computer network that may be (i) centralized or decentralized, (ii) closed or open-source, and (iii) used as a medium of exchange and/or store of value. “Portfolio.io Account” means a user-accessible account offered via Portfolio.io. “Portfolio.io” means Portfolio.io-branded websites, applications, services, or tools operated by the Company. “Non-Personal Data” means anonymous data that does not identify you specifically, including data collected automatically when you enter our Site. This may include cookies, pixel tags, web beacons, browser analysis tools, web server logs, operating system type, browser type, domain, and other system settings, as well as the language your system uses and the country and time zone of your device. Our server logs may also record the IP addresses of the devices you use to interact with the Site. We may also collect information about a website you were visiting before you came to our Site and any website you visit after you leave our Site, if this information is supplied to us by your browser. “Personal Information” refers to any information relating to you, as an identified or identifiable natural person, including your name, an identification number, location data, or an online identifier or to one or more factors specific to the physical, economic, cultural or social identity of you as a natural person. We are serious about guarding the privacy of your Personal Information and work hard to protect it from unauthorized access, or unauthorized alteration, disclosure, or destruction. We maintain physical, electronic, and procedural safeguards that comply with the relevant laws and regulations to protect your Personal Information from unauthorized access, including encryption with SSL, the availability of two-factor authentication, and periodic review of our Personal Information collection, storage, and processing practices. We restrict access of your Personal Information only to those Portfolio.io employees, affiliates, and subcontractors who have a legitimate business need for accessing such information. We continuously educate and train our employees about the importance of confidentiality and privacy of customer information. Unfortunately, despite best practices and technical safeguards, the transmission of information via the internet is not completely secure. Although we do our best to protect your Personal Information, we cannot guarantee the security of your Personal Information during transmission, and any acts of transmission are at your own risk. Whatever information we, in our sole discretion, deem necessary to comply with our legal obligations under various anti-money laundering (“AML”) obligations, such as under the European Union’s 4th AML Directive and the U.S. Bank Secrecy Act (“BSA”). Right of Erasure – You have the right to ask us to delete your data when it is no longer necessary, or no longer subject to a legal obligation to which Portfolio.io is subject to. Portability – You may have the right to transfer certain of your Personal Information between data controllers, for example, to move your account details from one online platform to another. Correspondence – Information that you provide to us in written or oral correspondence, including opening a Portfolio.io account, and with respect to ongoing customer support; and logging of phone numbers used to contact us. Email Communications – Subject to applicable laws and regulations, we may from time to time send communications promoting services, products, facilities, or activities to you using information collected from you. When you create a Portfolio.io account you are agreeing to opt-in to all communications from us. We will provide you with an opportunity to opt-out of newsletter communications. We will never provide your Personal Information to third parties for direct marketing or other unrelated purposes without your written consent. Unfortunately, we are unable to allow you to opt-out of the emails we send you for certain legal or administrative purposes. Cookies – You may decline session cookies if your browser or browser add-on permits but choosing to remove or disable our cookies may interfere with your use and functionality of Portfolio.io. Location Information – You may be able to stop the collection of location information through your device settings or by following the standard uninstall process to remove our applications from your device; however, because such data is used by us to meet legal requirements, as well as for ongoing fraud and risk monitoring purposes, choosing to remove or disable location services may interfere with your use and functionality of Portfolio.io. As of May 25, 2018, the processing of Personal Information of users located in the European Union is subject to the EU General Data Protection Regulation (“GDPR”). To the extent we process any Personal Information of users located in the EU, you maintain your right to request the information that Portfolio.io has about you, the right to correct that information, the right to delete your account with Portfolio.io, and the right to object to Portfolio.io’s information collection practices. All Personal Information collected is done so for a legitimate purpose in providing our Services to you.  If you have any questions or would like to delete your account with us or object to any of our information collection practices, please email us at support@portfolio.io.com. Credit reference agencies do not provide us with any personal information about you but may be used to corroborate the information you have provided to us. Personal Information you provide during the registration process may be retained, even if your registration is left incomplete or abandoned. If you are located within the European Economic Area (“EEA”), this Personal Information will not be retained without your consent. Set forth below is a description of all the ways we use your Personal Information and Non-Personal Data and why we do so. Please contact us at support@Portfolio.io.com if you would like further information regarding how we collect and use your Personal Information and Non-Personal Data. We do not maintain a published list of all of the third parties with whom we share your Personal Information with, as this would be heavily dependent on your specific use of our Services. However, if you would like further information about who we have shared your Personal Information with, or to be provided with a list specific to you, you can request this by writing to support@portfolio.io.com. Our operations are supported by a network of computers, servers, and other infrastructure and information technology, including, but not limited to, third-party service providers. We and our third-party service providers store and process your Personal Information in the European Union, Japan, Singapore, the United States of America, and elsewhere in the world. We may use Automated Decision Making (“ADM”) in order to improve your experience, or to help fight financial crime. For example, so that we can provide you with fast and efficient service, we may use ADM to confirm the accuracy of the information you have provided to us. None of our ADM processes have a legal effect on you. Your financial acquisitions may be recorded on a public blockchain. Public blockchains are distributed ledgers, intended to immutably record transactions across wide networks of computer systems. Many blockchains are open to forensic analysis which can lead to deanonymization and the unintentional revelation of private financial information, especially when blockchain data is combined with other data. Because blockchains are decentralized or third-party networks, which are not controlled or operated by Portfolio.io or its affiliates, we are not able to erase, modify, or alter Personal Information from such networks. As Portfolio.io and its affiliates are subject to various legal, compliance and reporting obligations, including BSA or national AML requirements (as defined above), we are required by law to store some of your personal and transactional data beyond the closure of your account with us. Your data is only accessed internally on a need to know basis, and it will only be accessed or processed if absolutely necessary. We will delete data that is no longer required by any relevant law or jurisdiction in which we operate. Subject to applicable laws, you may have the right to access information we hold about you. Your right of access can be exercised in accordance with the relevant data protection legislation. For further information, please contact support@portfolio.io.com. Portfolio.io is not directed to persons under the age of 18, hereinafter “Minors”, and we do not knowingly collect Personal Information from Minors. If we learn that we have inadvertently gathered Personal Information from a Minor, we will take legally permissible measures to remove that information from our records. Portfolio.io will require the user to close his or her account and will not allow the use of Portfolio.io Services. If you are a parent or guardian of a Minor, and you become aware that a Minor has provided Personal Information to Portfolio.io, please contact us at support@Portfolio.io.com and you may request to exercise your applicable access, rectification, cancellation, and/or objection rights. Where we have a legal obligation to do so, we have appointed data protection officers (“DPOs”) to be responsible for Portfolio.io’s privacy program for the respective data controllers. If you have any questions about how we protect or use your Personal Information, you can contact our DPOs by email at support@portfolio.io.com.